Spiders are ubiquitous within our forests, fields, and backyards. Although you may be used to seeing the beautiful yellow and black spiders of the genus Argiope in your garden, large ground-scurrying wolf spiders in your yard, or spindly cellar spiders in your basement, this new sheet-web-building spider is probably one you haven't seen before. The reason is that it's known from a single cave in the world, Stygeon River Cave, in southern Indiana. The University of Indianapolis assistant professor, Dr. Marc Milne, described the rare species in the open access journal Subterranean Biology with the help of a University of Indianapolis alumnus, Elizabeth Wells, who illustrated the spider for the manuscript. Sheet weavers, also known as dwarf spiders or money spiders, are minute creatures growing no larger than a few centimetres in length, which makes them particularly elusive. Their peculiar webs are flat and sheet-like, hence their common English name. 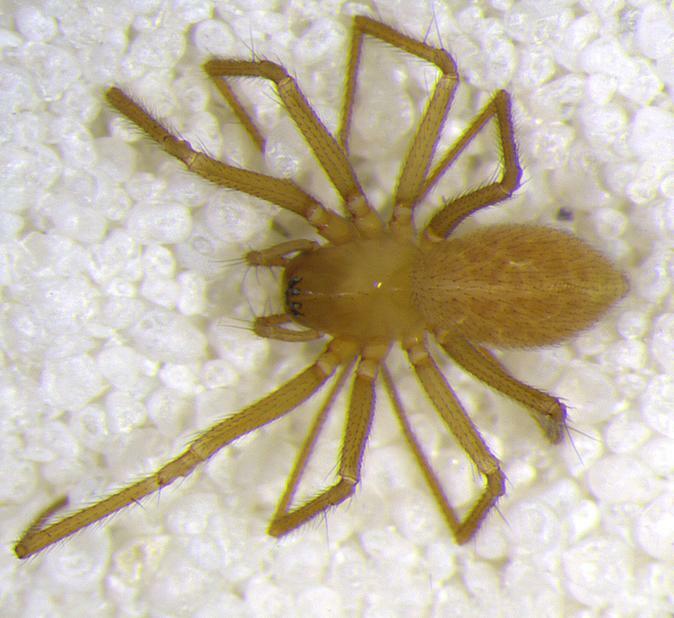 The new spider, Islandiana lewisi, is an homage. Milne was shown the spider by a fellow scientist, Dr. Julian Lewis, who noticed the critter on one of his many cave expeditions. In appreciation for his help, Milne and Wells named the spider after Lewis. This is the fifteenth species in its genus (Islandiana) and the fifth known to live exclusively in caves. It has been over 30 years since the last species has been added to this group. At about 2 mm in size, Islandiana lewisi is thought to feed on even smaller arthropods, such as springtails living in the debris on the cave floor. It is unknown when it reproduces or if it exists anywhere else. The spider is likely harmless to humans. The collectors of the spider, Milne and Lewis, described the hostile conditions within the cave, which the new species calls home: "because the cave floods from time to time, the insides were wet, muddy, slippery, and dangerous to walk on without the proper equipment." Milne and Lewis found the spider in small, horizontal webs between large, mud-caked boulders in the largest room in the cave. It was collected in October 2016 with the permission of the landowner. Milne hypothesized that he had collected something special, stating, "I didn't know what the spider was at first, I just thought it was odd that so many were living within this dark cave with no other spider species around." After returning to the lab and inspecting the spider under a microscope, Milne initially misidentified the species. However, when he re-examined it months later, he realized that the species was indeed new to science.